Symptoms of burnout, how to handle burnout, burnout, classic symptoms of burnout, burnout victim. Careers take their toll. Many days are full of routine activities that don’t even raise the blood pressure. Other days seem to have opened the floodgates of pressure, personality conflicts and financial disaster. The eventual result can be burnout. Here are the classic symptoms of burnout that should be recognized as being what they are. When they appear the victim should take them seriously and begin communicating about them with a spouse, friends, or a professional counselor. If someone is suffering burnout the quality of work goes down. The underlying feeling of being tired of everything permeates how the victim of burnout approaches work. Production falls and pride in a job well done nosedives. This is a red flag and a call for help. Marital problems sometimes develop as the victim of burnout changes. When work is going badly people often take their problems home with them. A spouse may not understand or the burnout victim may have stopped communicating. It’s time to start talking. Burnout causes a sense of being disconnected The engaging work that was once loved seems distant and unimportant. Victims come and go from work without emotionally connecting with anyone. Safety practices on the job might be ignored. It just doesn’t seem to matter any more. Chances are taken without thinking about the consequences or the dangers involved. Other employees might have to step in and confront the burnout victim for everyone’s safety. The use of sick time increases during a long period of burnout When someone who is tired of the job can stay away from work it will happen. Excuses are offered or the burnout victim may actually develop stress-related physical and mental disorders. Depression is a common emotional response to feelings of burnout. The feeling of being down in the dumps becomes a daily and pervasive problem. Daily activities once enjoyed are ignored and oversleeping is a common escape. Treatment for depression might require professional help. Financial problems show a lack of concern for daily life Burnout can result in financial stability and that will usher in a whole new set of problems. If the desire to escape the negative feelings is strong enough money may not matter at all. Bills may not be paid or gambling might become obsessive. Burnout can be cured. The process will take commitment and perhaps professional counseling to make it work. Openness and compassion are needed in relating to someone who is experiencing the internal turmoil of burnout and it’s critical that the victim is able to respond in kind. Burnout is a serious problem. Finding medical or counseling assistance can help offset the symptoms and restore a person who is experiencing the symptoms of burnout to a more productive person in the work place. The possible need for a change of jobs might be considered. Sometimes a new place of employment or a change of positions within an existing organization is the breath of fresh air that’s needed. Retirement is yet another option that should be looked at when the victim is in the position to do so. The same change of scenery, so to speak, can be healing for the mind and soul. Burnout is a serious condition that can lead to problems on the job and health problems. 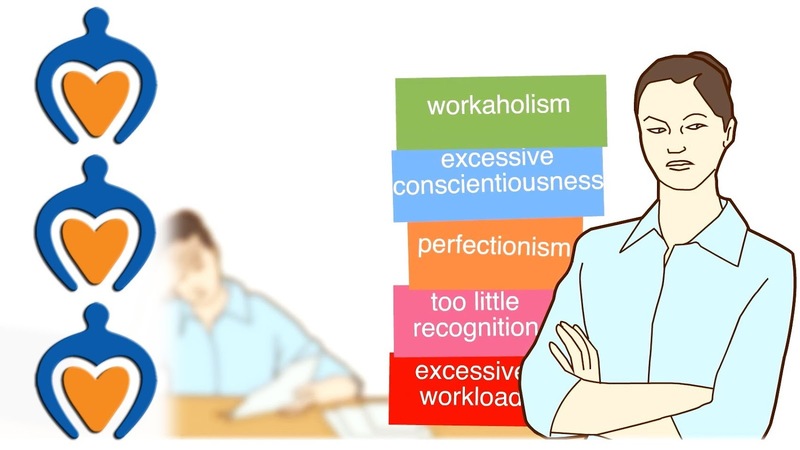 Dealing with the symptoms of burnout in a realistic and loving way is necessary to restore a formerly good worker back to the productivity he or she formerly enjoyed.